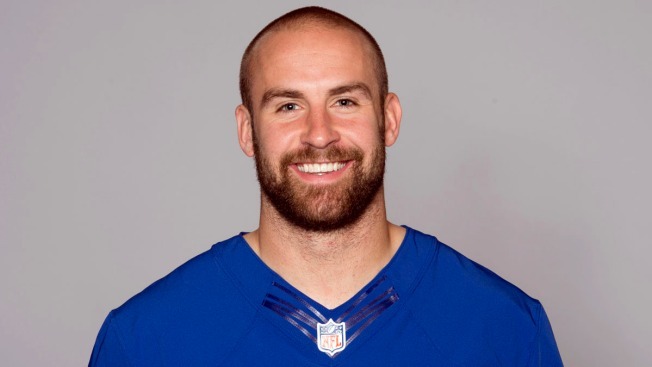 The news that former New York Giants and Iowa safety Tyler Sash had died suddenly at age 27 stunned his former teammates and coaches Wednesday. Sash was found dead Tuesday in his Oskaloosa, Iowa, home, about 3 ½ years after he won a Super Bowl during his rookie season with the Giants. Foul play isn't suspected. The Iowa State Medical Examiner's office said an autopsy conducted Wednesday revealed "no acute trauma" or evidence that he was killed by external force. The cause and manner of death remain under investigation, and additional laboratory testing is necessary, the office said. Sash had bought the home in 2013 in his hometown, where he was a star athlete before enrolling at Iowa in 2007. Sash became an all-Big Ten safety known for key interceptions and long returns — "a high-energy player who did a lot of great things," Iowa coach Kirk Ferentz said. Giants linebacker Mark Herzlich said he saw Sash six months ago during a visit to Iowa, and he seemed normal: he had a house, a dog, family and friends. He said he couldn't believe the news of his death. "It is a tragedy and I cannot explain how saddened I am by his loss," he said. After skipping his final year of eligibility to enter the NFL draft in 2011, Sash was drafted by the Giants. He contributed on special teams and defense to the team that won the Super Bowl in February 2012. But after reaching the pinnacle of his sport, Sash faced some setbacks. He was suspended for four games in 2012 for violating the NFL's performance-enhancing substances policy by testing positive for Adderall, a stimulant often used to treat attention deficit hyperactivity disorder. The Giants cut ties with Sash prior to the 2013 opener, reaching an injury settlement after he sustained a concussion in the preseason finale. Sash was arrested last year in Oskaloosa after police said he led officers on a four-block chase with a motorized scooter before running into a wooded area. Officers say Sash was shocked with a stun gun after he refused to be handcuffed. Sash pleaded guilty to public intoxication and was fined $65. Court records suggest he ran into some financial problems this year. Giants Coach Tom Coughlin said he hadn't heard from Sash in recent years but recalled him as an "outstanding teammate." "The players really enjoyed Tyler Sash," he said. "So I'm dumbfounded by this, and I'm very sad." Ferentz was subdued as he addressed reporters Wednesday at a news conference that had been postponed a day due to Sash's death. He said the Hawkeyes were planning a tribute to Sash during Saturday's rivalry game at Iowa State. Sash starred in the annual matchup in 2009, picking off Cyclones' passes three times as Iowa won 35-3. Ferentz said Sash's "signature play" came later that season in Iowa's comeback victory against Indiana. With the Hawkeyes down 21-7 in the third quarter and the Hoosiers about to score again, Sash caught a ball that had pinballed off several other players and returned it for a touchdown. That team went 11-2 and won the Orange Bowl. Ferentz recalled first seeing Sash in elementary school — starring on a youth basketball team that played against Ferentz's son, James — and offering him a scholarship when he was a high school junior. He said he had not kept in close contact with Sash recently. "He was certainly a special young man in our program," he said. "Had a great career here. Extremely competitive."